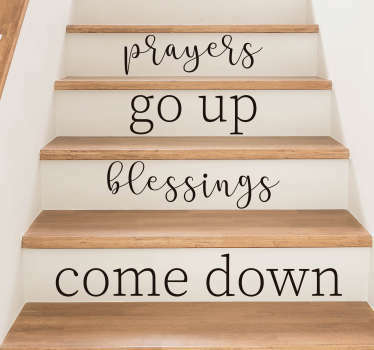 A collection of wall stickers with inspiring and religious quotes to decorate your home. Do you have a strong faith in your family? 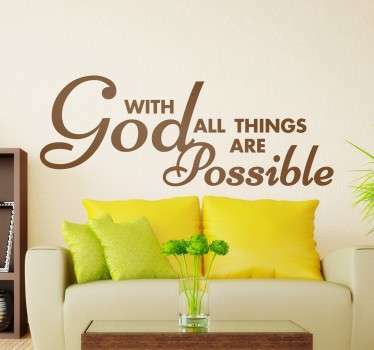 If so then why not re-enforce your beliefs with help from a religious quote about life to place on your walls. You can choose from popular quotes from the Bible, as well quotes from religious figures like the Pope. A range of sizes are available to suit you and your space. Apply easily to any flat surface and remove without leaving residue. All stickers are made from high quality and anti-bubble vinyl.